(TibetanReview.net, May26, 2017) – China has on May 24 expressed rebuff when asked whether it would come forward to help in the search for an Indian fighter plane with its two pilots reported missing after taking off from the Tezpur base in the border state of Arunachal Pradesh. 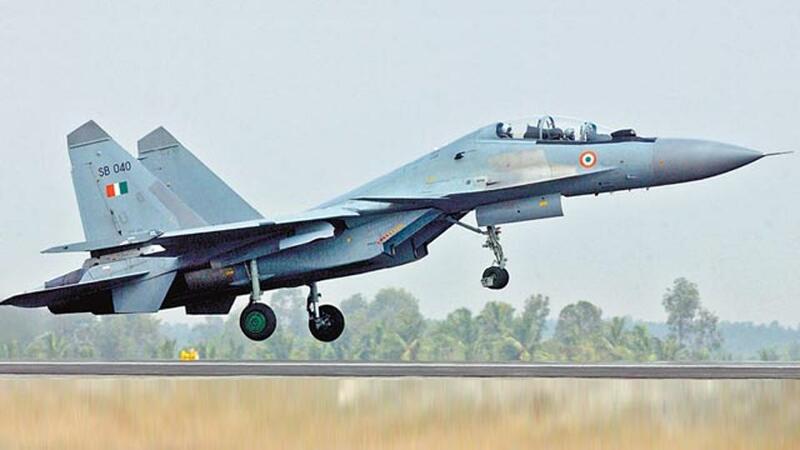 The Russian-made Sukhoi-30 had taken off from the Tezpur air base of the Indian Air Force Base, located about 172 km from India’s border with Chinese ruled Tibet, on May 23 morning. Rather, China suggested that India’s search for the missing plane and its two pilots would disturb peace and stability in border areas. “First of all, on the eastern section of the China-India border, our position is consistent and clear. We have been following the situation in South Tibet very closely. We hope India can stick to arrangements between two sides and avoid disturbing peace and stability in border areas,” China’s Foreign Ministry spokesperson Lu Kang was quoted as saying when asked about the situation and whether China would help. “As for the situation you mentioned, I have no relevant information to offer at the moment,” Lu was further quoted as saying. The plane was reported to have taken off on a routine training mission at 9.30 AM on May 23. It lost radar and radio contact near Arunachal Pradesh’s Doulasang area, located 60 km north of Tezpur. China claims Arunachal Pradesh to be part of its territory on the basis of its claim over occupied Tibet, calling it Southern or south Tibet.